Rogue Women Writers: HOW DO WRITERS CHOOSE SETTINGS? C. J. LYONS GOES ROGUE - WELCOME! HOW DO WRITERS CHOOSE SETTINGS? 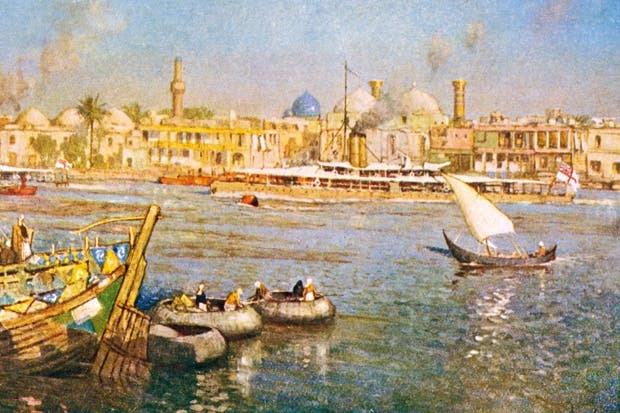 In 1918, it was a thriving city of commerce and culture. By Gayle Lynds. Here’s a brain teaser for you, dear readers. Can you identify the location of the following? I’ll tell you more about the city in a few moments. First, you should know that with this blog I’m kicking off a month in which we Rogue Women will reveal how we choose settings for our books, and the techniques we use to enrich your experience through describing those settings. Personally, I love locales that are unfamiliar to most Americans, including to me. Especially to me. If I can’t visit a location, I interview those who’ve been there, and I research extensively. By the time I’m finished, I can smell, hear, and see the place. The night air stank of oil fires. Gunfire crackled in the distance. Watchful, the assassins waited in the night shadows at the museum’s rear security wall. They were dressed like locals, in loose shirts, Western trousers, and ghutrahs — cotton scarves — wrapped around their heads and across the lower parts of their faces. Only their eyes showed. They checked their watches. We humans go through life with little conscious recognition of the extraordinary feast of sensory information around us. The advice to “stop and smell the roses” is particularly apt for those of us who write. It’s our job to entertain you with what you may easily miss even if you’re there in person. . . .
At precisely 12:10 a.m. the door in the wall opened, and General Mulh Alwar appeared. A tall blade of a man with refined features, he wore the uniform of the Special Republican Guards, but his shirt was unbuttoned, he was capless, and his eyes were over-bright. His Kalashnikov dangled carelessly from one hand. Part of any location is its inhabitants. What the people wear, how they present themselves, what they care about and want and fear. General Alwar is obviously disturbed and probably in some kind of deep trouble. If you guessed this scene is taking place in the Middle East, you’re dead on. Here’s your final clue: In earlier, better times, the country was known as Mesopotamia, a rich land where the wheel and writing were invented. It was all documented here, in the National Museum of Iraq, which contains priceless antiquities dating back a hundred thousand years. Yes, now you’ve got it. We’re in Iraq, and the National Museum is located in Baghdad, the city I’ve been describing. As for the time, it’s more than a dozen years ago, April 10, 2003. The United States and allies are moving into the city. What’s about to happen is a memorable moment in war, a true story about an act of gallantry by U.S. troops. Special Republican Guards have taken over the 11-acre museum complex, although international law forbids anyone to use a cultural site like it for military purposes. 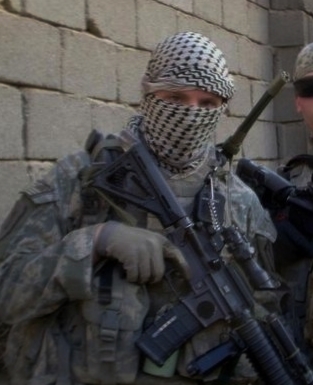 But they hide in the buildings and fire automatic weapons and rocket-propelled grenades — RPGs — at the American soldiers. A U.S. tank responds with a single round from its nosebleed 120-mm main gun. It takes out the RPG and leaves a shocking hole in one of the museum’s tall outer walls. 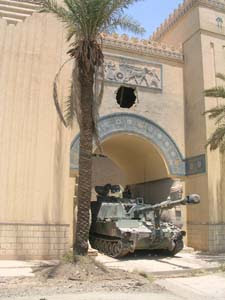 Under the laws of war, the Americans were entitled to defend themselves, but their tank round has proved how easily they can flatten the great museum and destroy its one-of-a-kind art and historic artifacts. So what do they do? They roll back out of range. They save the museum. I am thrilled, inspired, by such restraint despite being under attack. And that’s why I began THE ASSASSINS, my recent novel, outside the museum in Baghdad — with the locale, the situation in 2003, and the descriptions. And then I moved the story inside the compound, where six international contract killers rendezvous with General Alwar. And from there ... Washington, D.C., a Maryland hunt club, CIA headquarters in Langley, Marrakech’s grand marketplace, the Cairo airport, and back to Baghdad ... back to the National Museum, of course, where my fascination began. Do you have a favorite locale you’d like to revisit? Perhaps even to write about? Please tell! A great description of an intriguing place. We have all seen pictures of Iraq on television, but a good description in a book brings the city to life in a way that simple news coverage doesn't. Gayle, you're quite gifted with descriptive writing. I struggle with this part of the craft, and setting is no exception. I research areas I can't visit, but I love the suggestion about talking to people who've been/lived there. Great idea, and great excerpt! Thank you, S. Lee! But I think your descriptions are great, too! Thanks, Jamie. Yep, you're right about museums and libraries being constantly under assault. If it's not bullets and bombs, it's censors. 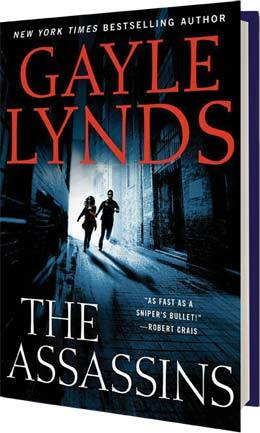 THE ASSASSINS was indeed a terrific story! And your descriptions really put the reader right in the midst of the action. When I select a novel, I enjoy not only a temporary "escape," along with "entertainment," but it is an added bonus to also "learn" along the way. And your marvelous description of places I've never had a chance to visit certainly fit the bill. Thanks for a great post (and great book). Thanks, Karna. I love your descriptions, too! And all of the many insider peeks you give us into government, power, and geopolitics. Wonderful reading!